– Uses Finding Nemo to share God’s story (like Jesus did with His parables). – Covers our whole story; sin, sacrifice, and salvation. – Has been designed for parents and adults to read with children. – Includes 13 easy to read and easy to understand chapters. – Includes discussion questions for teens, adults, and children. 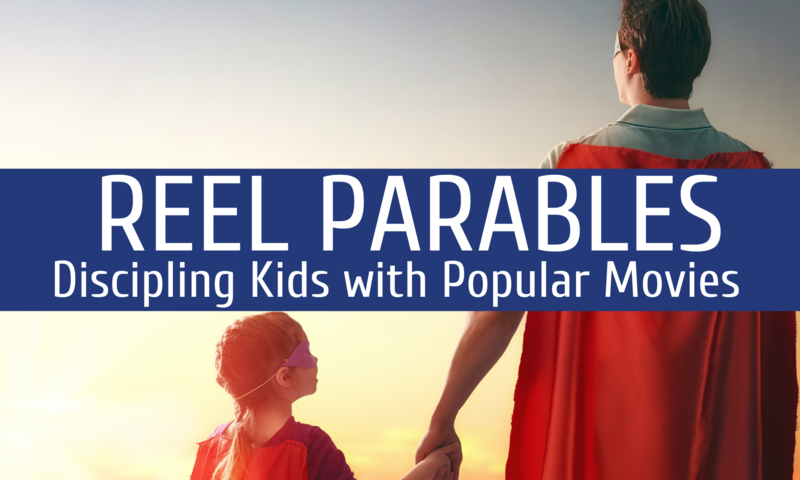 – Is perfect for parents, pastors, teachers, etc. who want to share God’s story with their kids and youth. Chapter 1 – Do Rules Help Us or Hurt Us? – Uses Frozen to share God’s story (like Jesus did with His parables). – Covers our whole story; sin, sacrifice, salvation, and resurrection. – Is written for teens and up. – Includes a bonus section with age-appropriate questions for younger kids. – Also, includes a bonus section of printable chapter questions to use in a group setting. Chapter 9 – Do You Have a Frozen Heart? Sharing God’s Story with Terminator Genisys is more than a movie based devotional. It is a better kind of Christian movie review that will help you share God’s story with Terminator Genisys. Sharing God’s Story with Terminator Genisys is designed for Youth Pastors, Singles Pastors, parents, and anyone who teaches youth and young adults. Buy now and download the Sharing God’s Story with Terminator Genisys eBook (PDF) immediately! If you want this one just e-mail me and ask. I will send it to you for free. No strings attached. So yea, this Bible is sort of laid out like a movie script so you can easily tell who is speaking, to whom they are speaking, and where (setting) they are. While I don’t use the Voice as my main study Bible, it is my go to Bible for when I want a fresh – and refreshing – version to simply read. I suggest you give it a try. The average American watches 5 hours of TV every day. Collectively, we spend roughly $30 billion on movies each year. Simply put, we’re entertainment junkies. But can we learn something from our insatiable addiction to stories? Mike Cosper thinks so. From horror flicks to rom-coms, the tales we tell and the myths we weave inevitably echo the narrative underlying all of history: the story of humanity’s tragic sin and God’s triumphant salvation. This entertaining book connects the dots between the stories we tell and the one great Story—helping us better understand the longings of the human heart and thoughtfully engage with the movies and TV shows that capture our imaginations.